Snowden’s remarks were taken from an interview with Al Jazeera English, excerpts of which were made available on Thursday, and were in response to a reminder that a year ago it was Clinton who accused Snowden of helping terrorists by leaking details of the NSA’s surveillance programs. “When the unclassified systems of the United States government, which has a full-time information security staff, regularly gets hacked, the idea that someone keeping a private server in the renovated bathroom of a server farm in Colorado is more secure is completely ridiculous,” Snowden told Mehdi Hasan in the debut episode of UpFront, a weekly talk show which will air on Friday. Snowden said that anyone with the clearances of the secretary of state, or the director of any top level agency, knows how classified information should be handled. Snowden was an NSA contractor when he blew the whistle on the agency’s programs conducting mass surveillance on Americans and foreigners alike, handing over an archive of documents to journalist Glenn Greenwald and the Guardian in Hong Kong. Clinton has argued that the information in her emails was not classified at the time, and the State Department confirmed in an August 31 press conference that 125 email contained "confidential" information but were "not marked ‘classified' at the time the emails were sent." The FBI is investigating who at the State Department sent the information to Clinton's private email account. The Justice Department has also begun an investigation into the use of a private email server for government communication. 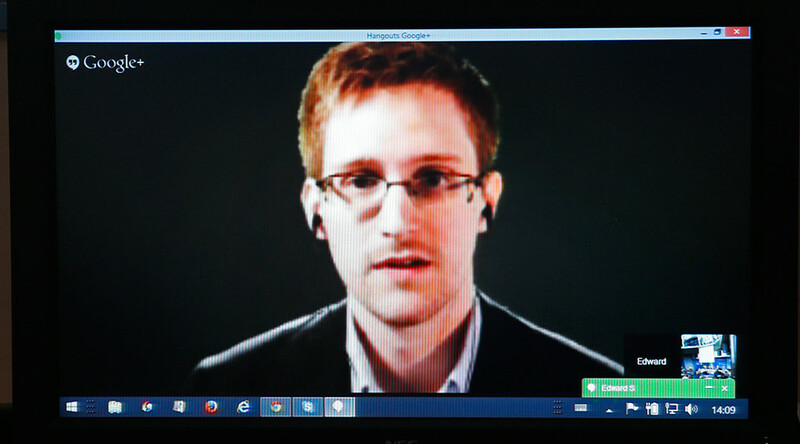 Snowden spoke from Moscow, where he has been granted temporary asylum following the NSA exposures. A federal criminal complaint was filed against Snowden in June 2013, charging him with three felony violations of the Espionage Act for turning over the government documents to journalists. Each count can carry a penalty of up to 10 years in prison.